Cats Are Masters of Disguise. . . But we cat owners can get a sense of it when something seems amiss with our little friends. . .perhaps they aren't eating like they should, or they're sleeping more, or hiding in odd places. If you suspect your kitty is under the weather, it's time to bring in the help of feline veterinary diagnostics at Scaredy Cats. Our talented, intuitive doctors will be able to examine and diagnose your pet, assisted by both routine and advanced diagnostic services available in our hospital. From simple blood tests to ultrasounds, X-ray imaging to urine testing, we are well-equipped to get to the bottom of the problem. 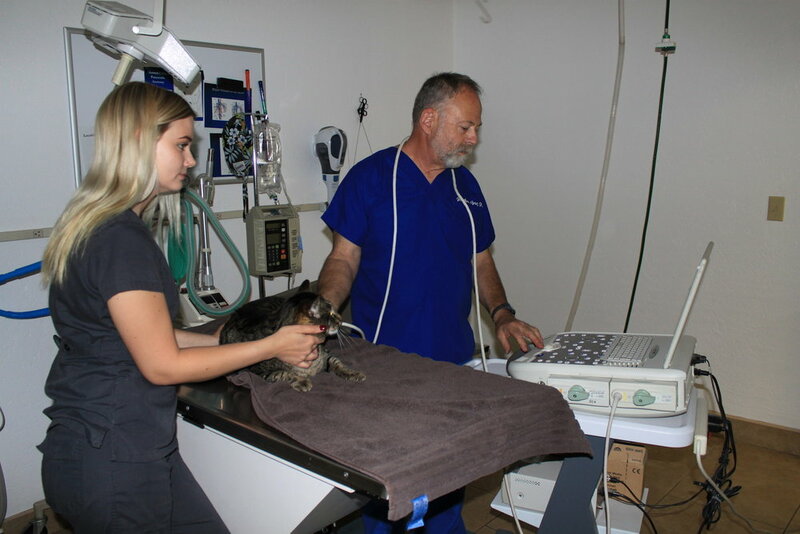 Scaredy Cats Hospital stays on the cutting edge of in-house diagnostic equipment, including advanced imaging capabilities. This allows our knowledgable doctors to quickly and accurately identify and diagnose health problems so they can be handled efficiently and quickly. In addition to our in-house services, we work closely with some of the area’s most reliable diagnostic laboratories and specialists around. We'll figure out what is wrong, and put in place a plan to get your baby back to health as quickly as possible. Suspect your kitty is Hurt or not feeling well? Schedule an appointment with Scaredy Cats today. Click on the button to get started. . .